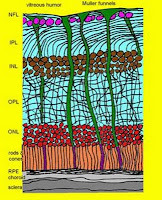 New info about how cells in the eye help guide light into the retina. 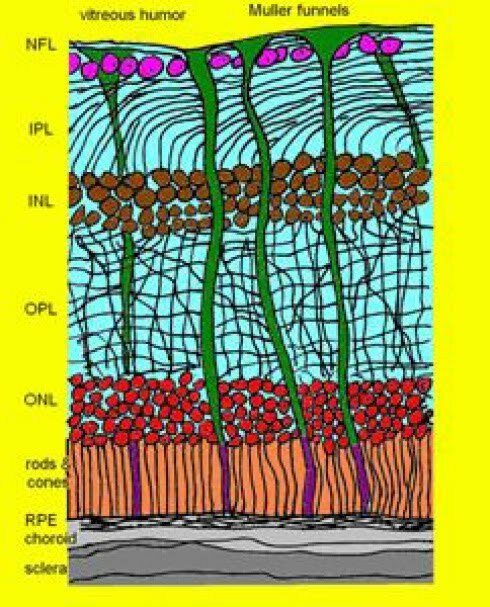 Furthermore, because of the geometry of the light-guiding glial cells, only light that comes in at pretty a straight-on direction will make it all the way down to where the photo-cells are waiting. Light arriving at oblique angles might enter a glial cell but will not be successfully guided downwards. Instead it will be scattered off to the side. This is origin of our sharp vision. Ribak and Labin reported their explanation in a recent issue of the journal Physical Review Letters.